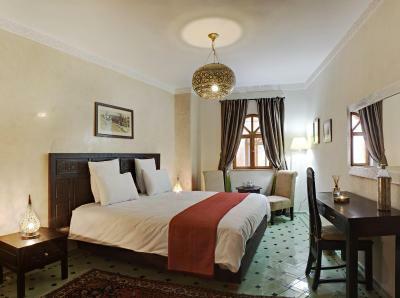 Lock in a great price for Riad Perle D'Eau – rated 9.3 by recent guests! Location superb! Our room had no view but we enjoyed great view from the terrace! And breakfast was nice! Awesome, unique view from the roof where breakfast was served. Staff and owners were very friendly and helpful. The room was quiet, full-furnished, and staff replenished bottled water every day. This was my favorite place to stay in Morocco. 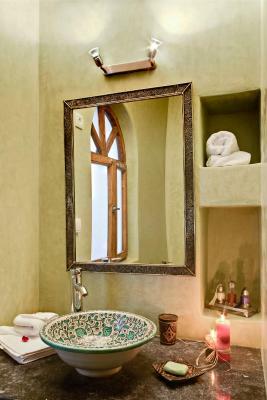 Perle D'Eau is a lovely 7 year old riad that was built by the owner from the ground up. There is an amazing attention to detail and it is beautifully designed. The staff was very friendly and helpful. Our room was spacious and very comfortable with a fantastic ocean view. The sound of the ocean lulled us to sleep at night. Breakfast was on the rooftop and was delicious. Ernst, the owner, gave us a lot of good tips for dining and navigating the medina. Our departure was very early in the morning and since it was before breakfast, coffee, pastries and fruit were set out in the lobby for us to have before leaving. 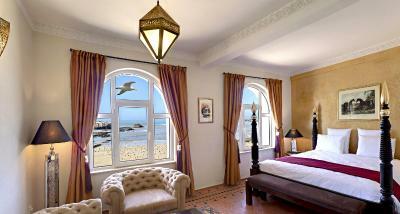 If you are planning a trip to Essaouira, I highly recommend Perle D'Eau. 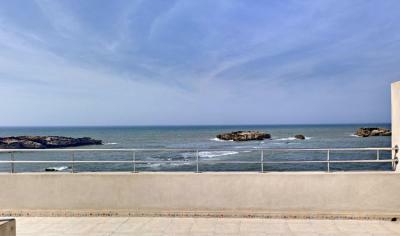 The roof terrace has the most gorgeous view of the sea! The location overlooking the ocean was amazing. 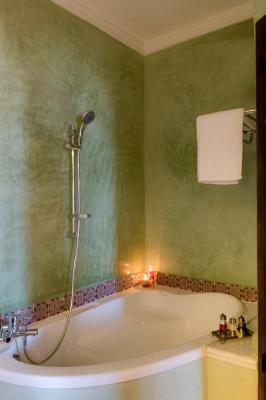 The owners, Giselle and Ernesto, were wonderfully hospitable and welcoming and our room was beautiful. The breakfast on the rooftop terrace was perfect. Bread was accompanied by Ernesto's homemade olive oil. Essaouira was a nice respite from chaotic Marrakech! Room comfortable and staff helpful and friendly. Bathroom had bad lighting and NO shower curtain so water all over the floor! The breakfast could be so much better and was rather disappointing to say the least. 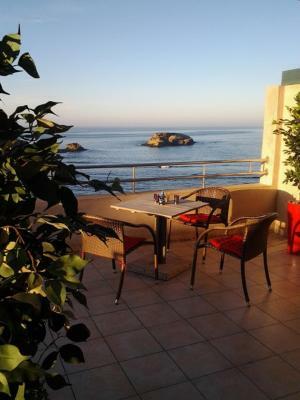 - Amazing view of the ocean from the terrace - clean rooms - kind hosts! 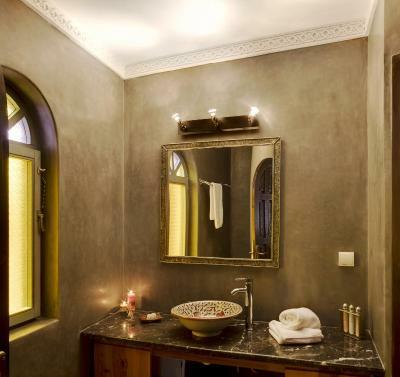 One of our top picks in Essaouira.Located in Essaouira’s medina, this seafront riad offers stylish rooms with a traditional Moroccan décor and 2 terraces with sea views. 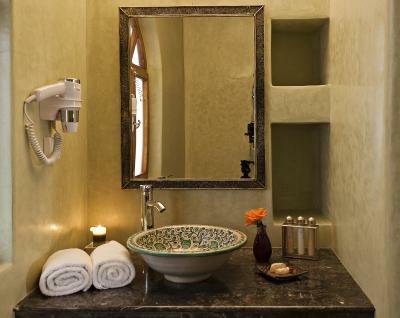 The hotel features a spa center with a hammam, hot tub and massage services. 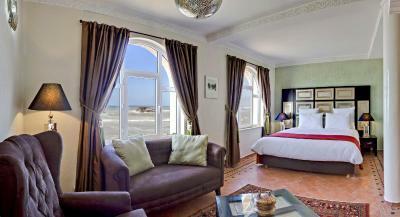 With views of the sea or medina, guest rooms at Riad Perle d’Eau each offer a seating area and free Wi-Fi access. 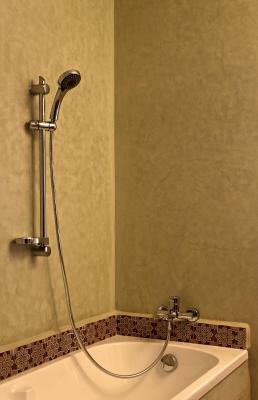 Rooms have an elegant private bathroom equipped with a bathrobe, hairdryer and complimentary toiletries. Breakfast is served each morning and can be enjoyed on one of the terraces. 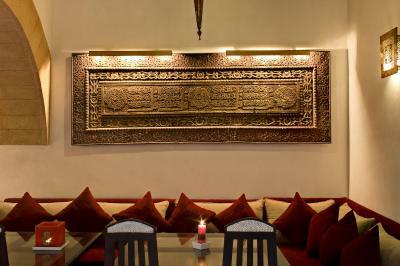 For other meals, the riad can prepare traditional Moroccan dishes upon request. 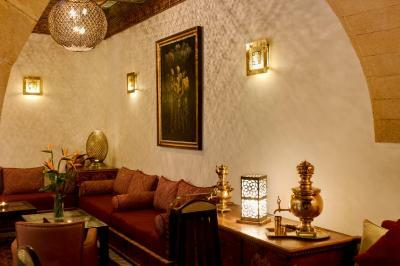 During their stay guests are invited to relax in the riad’s lounge, which offers a TV and internet access. 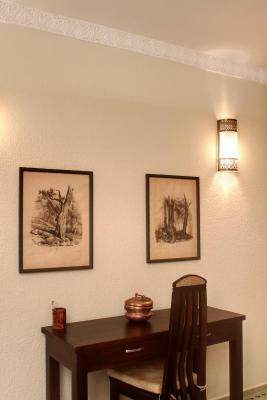 Additional facilities available include free newspapers and a tour desk for excursions in the surrounding area. 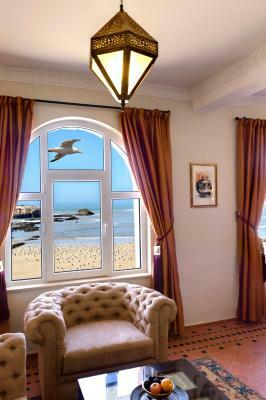 This property is also rated for the best value in Essaouira! Guests are getting more for their money when compared to other properties in this city. 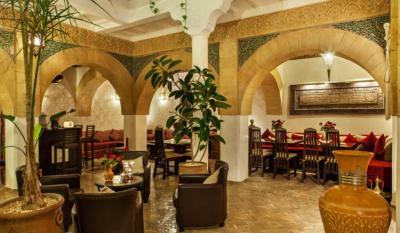 뀐 Located in the real heart of Essaouira, this property has an excellent location score of 9.6! 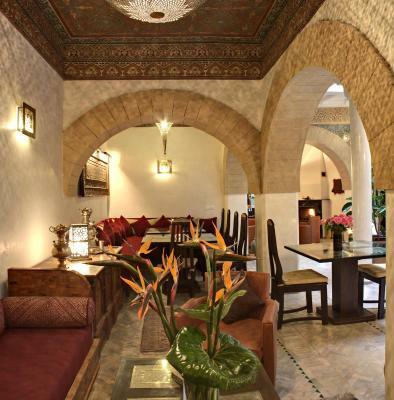 When would you like to stay at Riad Perle D'Eau? 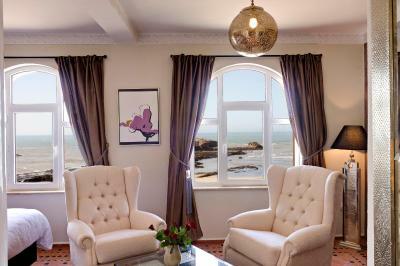 With a sea view, this suite offers a seating area and free Wi-Fi internet access. 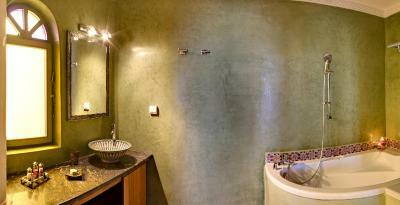 The private bathroom features a corner bathtub. 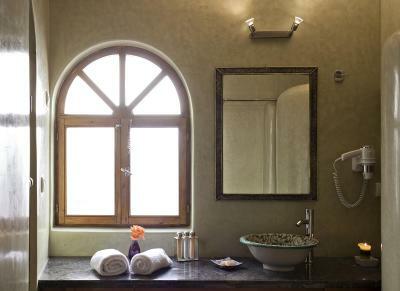 With a view of the medina, this room offers a seating area and an private bathroom with a shower. Extras in this room include free Wi-Fi. 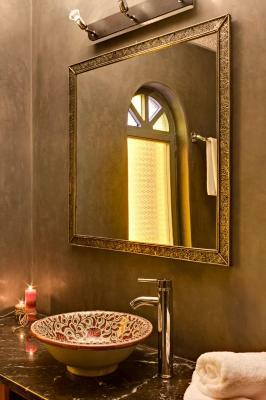 House Rules Riad Perle D'Eau takes special requests – add in the next step! 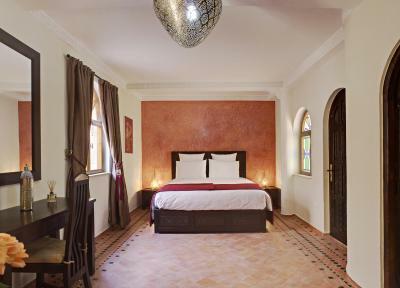 This riad does not accommodate children. 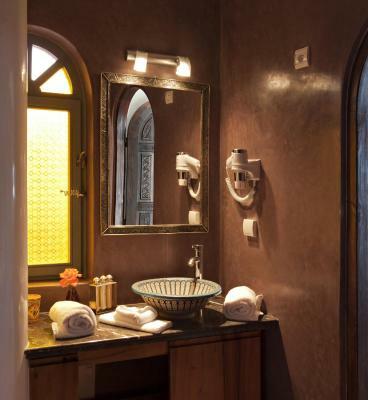 Riad Perle D&#39;Eau accepts these cards and reserves the right to temporarily hold an amount prior to arrival. 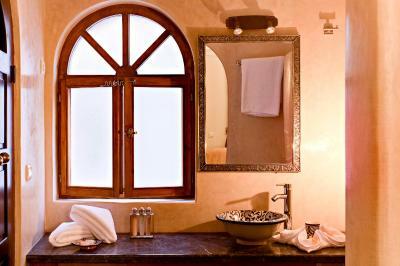 Riad Perle D'Eau accepts these cards and reserves the right to temporarily hold an amount prior to arrival. 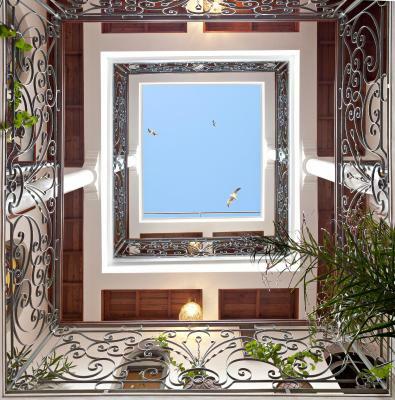 Please inform Riad Perle D'Eau of your expected arrival time in advance. You can use the Special Requests box when booking, or contact the property directly using the contact details in your confirmation. - there was no door from the room to the bathroom, just a curtain. Someone maybe want to have more privacy in the bathroom ;) But we could arrange us with this situation, it is not a big problem at all, haha. I was happy to stay in this Riad It was one of the best Riads where we stayed in out trip around Morocco. Riad located in Medina it was really close to all touristic place, we were in essautaira just one day so this riad was the best decision. Big comfortable bed, nice personal and really good breackfact with the ocian view.i would like to came back and relax there more time.We managed to get acquainted with the owner of the hotel and he is really caring about his client and how is people felt in his raid. 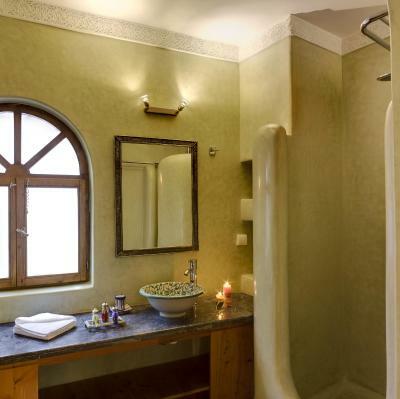 Choosing Essaouria and making Riad Perle d’eau our first stop was the best decision ever. The owner, Ernest was a perfect gentleman and the staff were friendly and helpful! I love the jams we had at breakfast and the lovely feeling of waking up to the sound of waves. 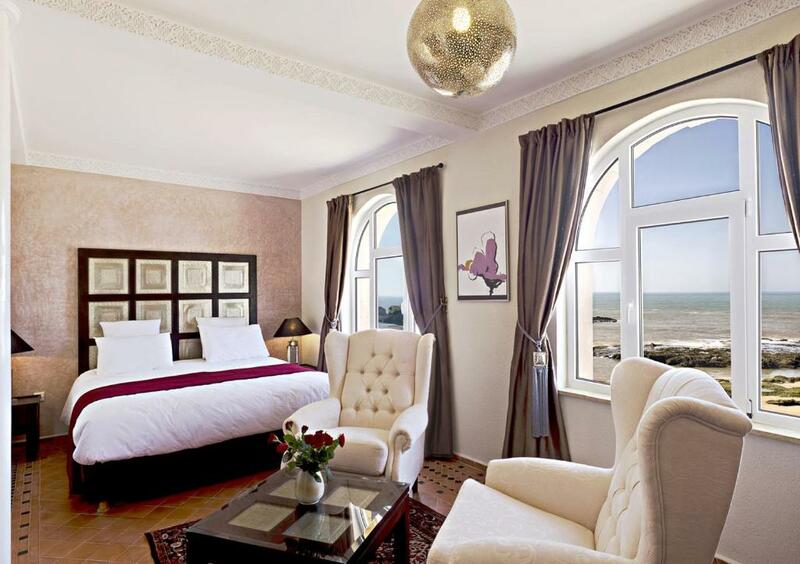 Get the sea view rooms. It’s definitely worth it. 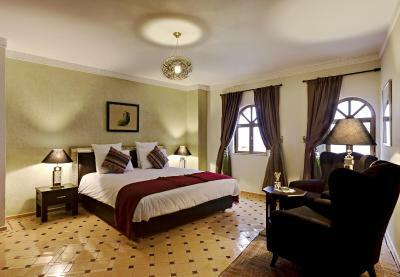 It’s also conveniently located in the Medina with shops, restaurants and habour nearby. Will definitely recommend it to my friends who are going to morocco. Everything! It is a very beautiful place with very nice owners. We loved our experience in this place. Rooftop breakfast terrace has a great view. 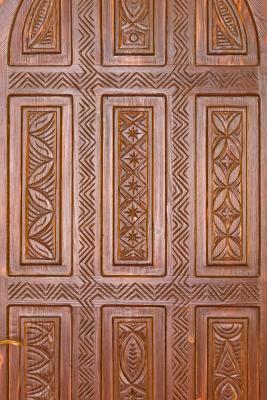 Interior decor very beautifully done. Very friendly staff and owner. The fabulous location fronting the ocean, the cleaningness of the hotel and rooms, and of course Ernest, the owner! Need to save some time to talk with him, he is a mix of elegant retired Indiana Jones and very knowledgeable man about Marroco ! No brainer, book there if not too late! 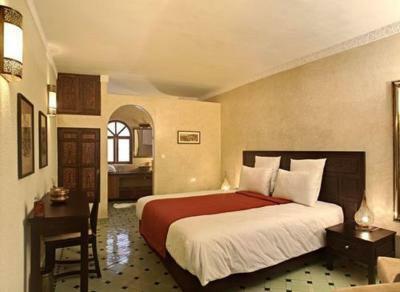 The location is fabulous, in the Medina with a fabulous ocean view and the sound of waves crashing at night. Breakfast on the rooftop terrace was also great. Room bit dark although we knew it at booking. Amazingly beautiful place and super friendly owner and staff. 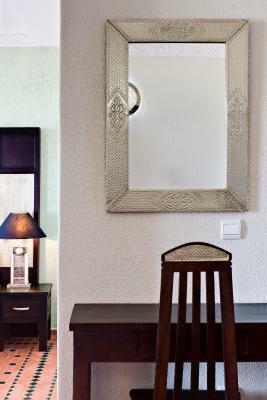 Location is just perfect and the standard of the house is near a small boutique hotel. Highly recommended. Thank you, mister Ernest! All was excellent - staff, comfortable room, good breakfast with view on the ocean. The massage was the best in my life. For information - As riad is in the medina, the taxi will not take you to the doors. We had the cheapest room (Biwa - No.5) which, like the rest of this small riad created out of two town houses, was decorated in characteristic Moroccan style, had a very limited view and so was rather dark. We saw some other rooms which looked better. The floor, especially carpets, not perfectly clean. The staff were great - the owners were charming, the young lady at reception welcoming and helpful, the young man at breakfast friendly, efficient and cooked an excellent scrambled egg. The nicely laundered, good quality bed linen.